A truly unique opportunity to enjoy a screening of Brad Bird’s timeless Academy Award-winning animated classic, with an introduction from its award-winning character artist, Carter Goodrich. 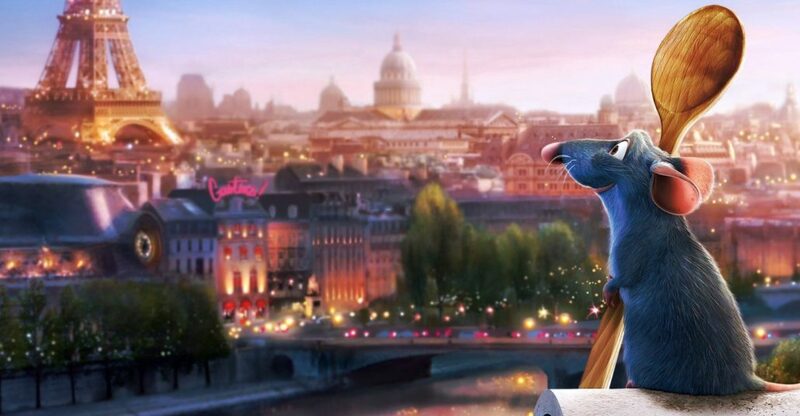 In one of Paris’ finest restaurants, Remy, a determined young rat, dreams of becoming a renowned French chef. Torn between his family’s wishes and his true calling, Remy and his pal Linguini set in motion a hilarious chain of events that turns the City of Lights upside down. Described by The New York Times as “a nearly flawless piece of popular art, as well as one of the most persuasive portraits of an artist ever committed to film”, Ratatouille was nominated for five Oscars, winning the Best Animated Feature award in 2008, and has lost none of its charm in the decade since. With special thanks to Trish Long and Martin O’Grady at Disney.